This poisonous snake came to know about when the owner of the house opened the fridge and screamed badly by looking at the snake. Hyderabad The heat is increasing every day. As the heat is increasing, it is also making these difficulties for animals even for humans. 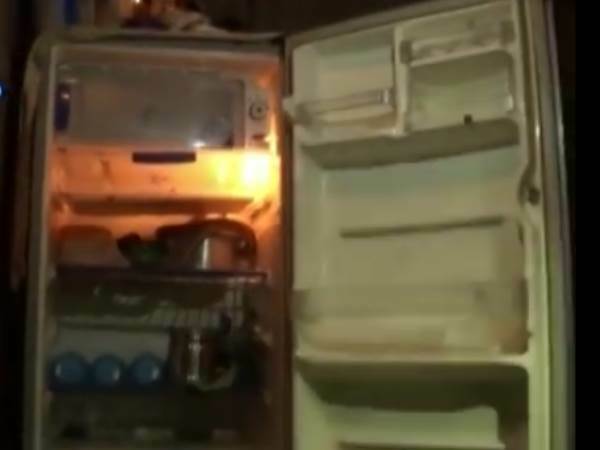 In Tengalana, a King cobra also sat in the refrigerator to avoid heat. When the girl opened the refrigerator door from any work, the cobra sitting in his fridge screams out. A King Cobra, about four feet long in Sirsa town of Telangana, entered a house in Sanjeevya Nagar and sat in the fridge. When this snake came to know, the daughter of the owner of the house opened the fridge and screamed after seeing the snake sitting in front of it. After this the hands of the people of the house were blown up. The people of the house called a snake charmer, who took a bean out of the fridge and took it with him. The case is Tuesday afternoon. See the whole case in the video. 0 Response to "Watch Video :The cobra was sitting in the refrigerator to avoid heat, the girl to take water ..."